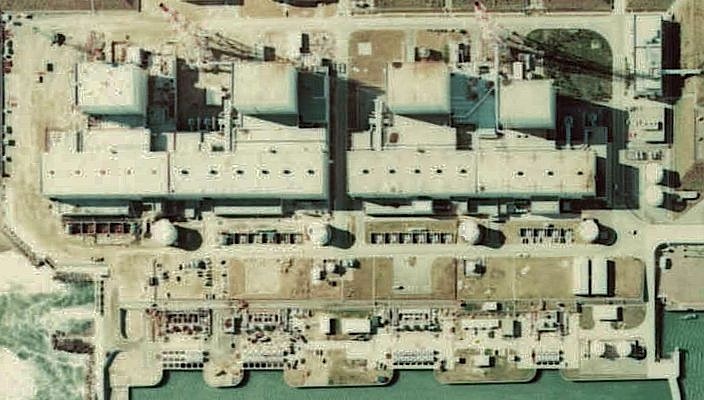 After more than a month of battling the Fukushima Daiichi nuclear power plant disaster, Tokyo Electric and Power announced today that radiation leakage is likely to exceed Chernobyl levels. The utility has raised the safety threat from 5 to 7, the same threat posed by the 1986 Chernobyl nuclear explosion that killed dozens of people. Thousands more were stricken with cancer following radiation exposure. “The radiation leak has not stopped completely and our concern is that it could eventually exceed Chernobyl,” an official from operator Tokyo Electric and Power told reporters on Tuesday. The current level of radiation is at about 10% of what was emitted following Chernobyl, but it has not yet been contained. please report accurately. your own source says that the *safety threat* is the same as chernobyl now, and that over time the plant may leak as much radiation as that accident, but currently it has only released ~10% of the total radiation of chernobyl. the leakage is NOT on par, it's 90% less. that's still very much all kinds of not good, but i'll wager that if you took a 90% pay cut you'd not consider your compensation "on par" with your co-workers. fear mongering does not make us greenies look better, it undermines our position by providing inaccurate information that can be used against our credibility. News like this makes solar, wind, wave, geothermal power generation look better than ever. Surely it's time to ween the planet off the nuclear teet. After more than a month of battling the Fukushima Daiichi nuclear power plant disaster, Tokyo Electric and Power announced today that radiation leakage is likely to exceed Chernobyl levels. The utility has raised the safety threat from 5 to 7, the same threat posed by the 1986 Chernobyl nuclear explosion that killed dozens of people. Thousands more were stricken with cancer following radiation exposure. "The radiation leak has not stopped completely and our concern is that it could eventually exceed Chernobyl," an official from operator Tokyo Electric and Power told reporters on Tuesday. The current level of radiation is at about 10% of what was emitted following Chernobyl, but it has not yet been contained.